HDTV Prices Dropping – Will Trend Continue As Christmas Nears? HDTV prices appear to be on a downward pricing trend in the lead up to Christmas. Using 60 inch models to check out the current landscape, we find that Walmart has pushed the price of some of their 60 inch HDTV’s down to Black Friday sale prices. Their Vizio 60-inch Class Smart LED HDTV (1080p – 120MHz) and Samsung 60-inch Class Plasma HDTV (1080p – 600MHz) are both on sale for $998 each. Best Buy is serving up the Sharp AQUOS – 60-inch Class LED HDTV (1080p – 120Hz) and Samsung – 60-inch Class Plasma HDTV (1080p – 600Hz) for $999.99 each this weekend. Sears is offering the Samsung 60-inch Class Plasma HDTV (1080p – 600MHz) for $999.99. They also have a special deal on a refurbished Zenith Z60PV220 60-inch 1080P Plasma HDTV for only $929. Poking around on Amazon, we were able to find more deals. The Panasonic TC-P60U50 60-Inch 600Hz Plasma HDTV is $898. 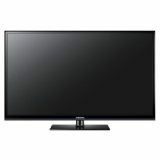 Similarly, the Samsung 60-inch Class Plasma HDTV (1080p – 600MHz) is $998 and qualifies for free shipping. All of these 60-inch HDTV deals are $400-$500 off the list price, and some of them are lower than the Black Friday specials from two weeks ago. For HDTV shoppers, the question becomes whether to jump in and buy one now, or hold off until the closing hours of the 2012 holiday season? According to the price predicting engine at Decide.com, for most HDTVs, there’s not much danger of the prices going up before Christmas. The prices on the majority of the HDTVs we surveyed are either steady or headed down. Decide.com is predicting that the price of the Vizio 60″ HDTV mentioned earlier in this story will either remain steady or drop by as much as $125 (95% confidence). The price of the Samsung 60-inch Class Plasma HDTV is predicted to remain steady or drop by as much as $133 (95% confidence). The price of the Panasonic TC-P60U50 60-Inch 600Hz Plasma HDTV is expected to remain steady (67% confidence). We found the trend continued when we expanded the survey out to other sizes. It should be noted though that we did find a few exceptions to the trend. So with the price of most HDTVs expected to remain steady or drop, will you buy one now, or wait until the last minute? Share your thoughts and strategies in comments section below!